for those interested the USKG TS3 has launched which also means there is a ton of the old TS in the outlet if anyone is interested. Just an FYI. is there much difference between the TS3 and the previous model? Looks like the TS3 is replacing the old TS line. If I know anything about club manufacturers they will help you hit it farther and straighter. Slight change in weighting scheme from previous version as well. There's definitely something more important that I should be doing. Looking through the specs for the 51" series, it looks like the lofts have slightly changed in the irons from the previous TS line. I didnt make it through all of the irons and didnt look beyond the 51" series, but 8,9, and PW are all 1 degree weaker than the previous TS Line and the Current UL line.....i.e. TS3 8 iron is 41 deg, Prev. TS and UL series are 40. Someone will get the TS3 and not like them because they don't hit as far as the previous series. Bound to happen, even if it is a 1 yard difference, because they don't understand lofts. My sons buddy thinks he hits his irons further than my son. My son hits his 8 iron (39 degrees) 125. His buddy hits his 8 iron (34.5 degrees) 130. Thing is, his buddies clubs are 4 degrees stronger on every iron. His dad bought him new 52,56,60 wedges for Christmas. He doesn't understand why there is such a big gap in distance in his PW which is 44 degrees and his gap wedge which is 52 degrees. I'm going to research the TS3 wedges a bit, but in the meantime If anyone wants to get rid of a 52* TS wedge please let me know. I need it asap. This is right. Thankfully my son isn't at the distance who ego stage yet with his buddies. I don't really care about the loft specs as long as we can properly gap, but more interested by the progressive weight in the 51" series , old TS -"10% lighter", new TS3- "15% lighter". Ive mentioned earlier, but moving from 48" UL, we have a 51" TS(old version) that we occasionally pulll out to test) and it just seems too heavy still. I know there is a learning curve period for getting used to New heavier clubs when jumping up- we had it from 45"UL to 48" UL- but the new Wright class for the 51" makes since as that is the first height class in the TS. 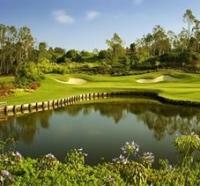 I will as soon as I get my refund back on my credit card for the Powerbilt Junior Blue irons I ordered. They are only 11.84597% lighter. Any. I'll just cut it down if its over 51 inches. Sorry, just went to the garage and realized the set I have the 52 wedge in is a Flynn wedge. now that they have been out for a few months, can anyone share your kids experience with the new TS3 irons relative to the old ones? So we bit the bullet. Originally we bought the TS51's over Christmas, with the intention of using them this spring for my son as a replacement for his UL-48. I sold the TS51 set we had instead, and bought the newer TS3 in the same 51" length versions a few weeks ago. Here's what we've noticed. The TS3 is noticeably lighter than the TS51. It was somewhere in between the UL-48 we had been using and the TS51's. The heavier TS51's we never put into play because they were just too heavy for us at the time. The grip size on the TS3 is noticeably thinner than the TS51. Very similar grip sizes to the UL48. Shot trajectory was noticeably higher with the TS3 over the TS51. Distance was about a half club longer than the UL48. Didn't really compare with the TS51, since my son never really warmed up to those as they were a bit heavy. Coming from the UL48, these are a great next club and my son is very happy with them. Very glad we changed from the TS51 to these instead. We also have the TS3 51”. 7 YO boy. Our experience has been the same as above for the most part. We’ve had them for a few months, also moving up from the UL48. It’s hard to compare because we were moving up from a smaller set, so naturally they are longer. I would be interested to compare the UL51 to the TS51. The extra weight did take a longer time to get used to than it did when we moved fro UL45 to UL48. Grip does seem very slim to me, thinking of getting the junior Winn grips put on - which he has on his driver and likes, they are a bit thicker. 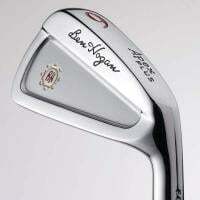 When we were looking to move up, I also bought a single Flynn 8 iron to test out. He still tools around with it some for fun and it seems that he has a higher ball flight with the Flynn- who knows and doesn’t matter , we’re not switching at this point anyway, ha. He has a 56* wedge- it is good except on full swings it tends to ride up the club face too much (credit to Kekoa for that spot on description), never had that problem with the UL48 sand wedge. Overall satisfied, but can’t say that it’s revolutionized his game or anything. As a side note- our set came with Driver, fairway, and hybrid. - Driver- Big slices - uncharacteristic, he typically hits a draw and misses with a hook. Just couldn’t it. Odd thing is the 3w and hybrid didn’t have this problem and it’s not a consistent issue with any other club, including his previous UL48 driver. We have since gotten an XR16/Flynn and he is back to normal. - Fairway wood and hybrid- nice off tee. Lower ball flight, but a slight draw and reliable. Noticeably harder to get higher launch than UL48. Probably swing speed is too low. I brought the TS3 for my 7 year old. I went with the TS3 because it looks like they really improved the Driver, and hybrids a lot over the prior versions. Overall I feel like there a big improvement over the old version. I also like the fact that we could go into the store and actually try them out and walk out with them the same day. I think there pretty comparable to flynn as my older daughter used those as well. We needed to move up to the TS3 because the ultralight clubs were simply too light to get any real distance. These really helped and now she can actually play courses and have a real chance to get over water. With the new clubs being lighter it made it a lot easier to step up into the TS3 from ultralight clubs. Prior to this version we may have had to stick to ultralight clubs. 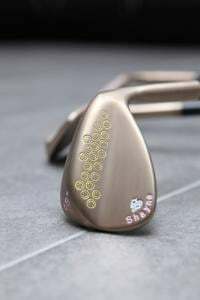 There a little pricey but I think there perfect for kids who hit their driver under 180 yards once they get above that you can start to look at more options out there.